Having an extra room in the garden can make a world of difference to your garden activities. Our designs range from cabins for general storage through playhouse/games room to guest or sleepover bedroom . 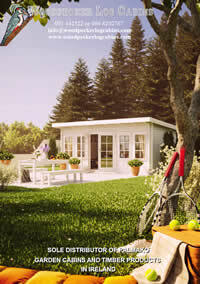 The Bermuda 44 makes an ideal summerhouse with windows on three sides makes this a light and airy cabin.